Danbury Police posted this photo of a recent marijuana seizure on Facebook. A New Hampshire police department has offered a marijuana grower "counseling" in a Facebook post after pulling up some plants recently. The posting Monday on the Danbury Police Department's site says if that person gets home, goes for a walk in the woods, finds the summer's "horticulture project" gone and wants to talk about it, to call. It says, "We will offer you some counseling to get through your loss," adding that a business card was left. 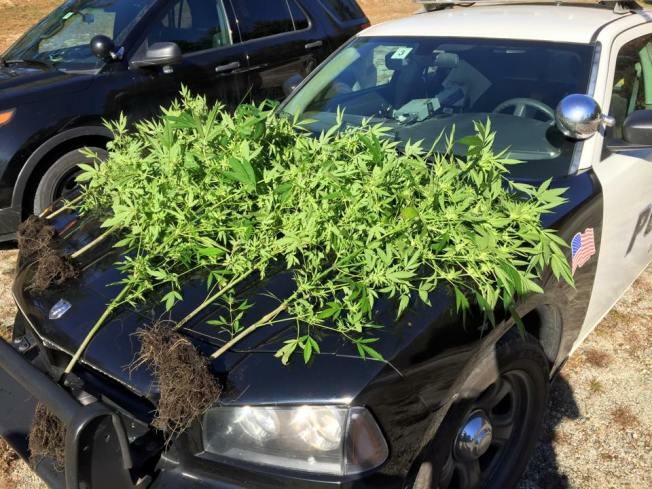 Accompanying the post was a photo of marijuana plants on the hood of a police car. The town of about 1,200 residents is about 33 miles northwest of Concord.